Solana Beach, CA (December 4, 2018) – Brixton Capital, a private real estate investment firm, today announced the expansion of its leadership team with the appointment of Kurt Kaufman as Chief Operating Officer. His primary responsibilities include implementation of strategic business plans, oversight of asset and property management functions, leasing staff, development team, financial analysis and other corporate level operations, including systems and process improvements. 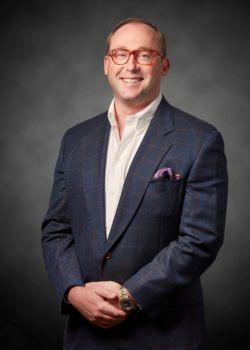 With over 16 years of broad-based experience in commercial real estate, Kaufman’s duties will also include assisting with the financial capitalization, investment strategy and acquisitions to expand Brixton’s real estate platforms. Most recently, Kaufman was president of Blue Sky Basin Realty Partners, which he founded in 2014. The firm specialized in middle market assets across multiple product types throughout the California market. Prior to Blue Sky, he spent 11 years with The Abbey Company where he played a critical role doubling the portfolio of commercial real estate to six million square feet. Kaufman, a licensed real estate broker in the State of California, is a graduate of Pennsylvania State University, where he obtained a degree in finance. He also earned a certificate degree in real estate from the University of California at Los Angeles. He is a member of NAIOP and participated in its Southern California chapter’s Young Professionals Group. Brixton Capital is a preeminent private real estate investment firm that seeks to generate outstanding, risk-adjusted returns by unlocking embedded value in commercial real estate transactions spanning all property types. Headquartered in Solana Beach, California, Brixton is led by a team of seasoned commercial real estate experts with an average of more than 25 years of experience. Brixton currently owns and operates a portfolio valued in excess of $1 billion, representing over 10 million square feet of retail, multi-family, office, industrial and land investments across the United States and Europe. Brixton Capital was ranked as one of the 2017 Top 50 Owners by Commercial Property Executive and as well as one of San Diego’s Best Companies to Work For by San Diego Business Journal in 2018. For more information, please email Travis King, Chief Executive Officer, at tking@brixtoncapital.com or call at (858) 683-7100.